The new Catechism of the Catholic Church has focused attention upon the need for Catholics to renew their understanding of the key doctrines of their faith. 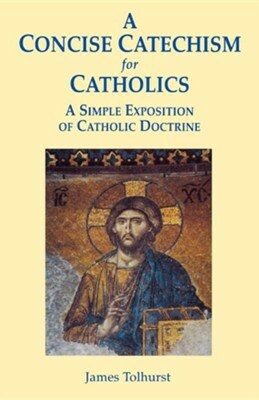 In this concise catechism, Fr James Tolhurst offers a clear summary of the teaching of the Catholic Church on Jesus Christ, God, the Church, the Sacraments and Moral Law, cross-referenced to the full Catechism, to the relevant biblical passages and to the Second Vatican Council. Supplementing the catechism are a rich selection of prayers and a helpful subject index. An essential book for all Catholics who wish to incorporate in their lives the teaching contained in the new Catechism, this bestseller has established itself as indispensable for schools and parishes. Invaluable for all those seeking instruction in the faith. Fr James Tohurst DD is the author of many books on the faith and teaching of the Catholic Church. I'm the author/artist and I want to review A Concise Catechism for Catholics.